HTC Global Recruitment Drive in Chennai from 10th to 14th June 2014. 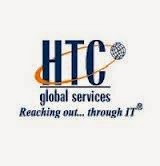 HTC Global Services, a multi-national software organization recruiting freshers and experienced graduates for Data Conversion Specialist position. Walk-in Interview for NON Voice BPO Opportunity for Freshers / Experienced Graduates. HTC Global Job openings in Chennai for freshers and experienced (0 to 2 years). Interested and eligible candidates can directly Walkin to Below mentioned address. Any graduate BE / B.Tech / MCA / MS IT / M.Sc / B.Sc / B.Com / BBA / BCA / BA . Diploma and Candidates who are pursuing graduation can also Walk-in.